The J-Pop Harajuku Kawaii Amabassador, Kyary Pamyu Pamyu, is performing in Sydney, Australia on the 23rd of March as part of her current world tour. Japandaman HQ was lucky enough to snag a few minutes of her precious time for an interview which she graciously agreed to. Many thanks to Katey Smile for assistance with the questions, Handsome Tours and Angela Henley Publicity. Japandaman: Are you excited to come to Australia? Kyary Pamyu Pamyu: Yes very much! This will be my first time in Australia so I am very excited to meet local fans! I’ve never been to the Southern hemisphere so I am wondering if the climate is really opposite from what we have in Japan. Last but not least I would love to see sharks and koalas! J: Who are your current influences? KPP: I just love Katy Perry. Her cuteness is just perfect in every way. She is also a very humorous and kind person. Of course I respect her very much as an artist. J: What is your favourite music video and song that you’ve released? KPP: “Mottai-Nightland” video expresses the world of fantasy I love so much. On the other hand “Fashion Monster” is the very first video that I could express rock and the world’s quite different from the colourful popness like in other videos. Still it is very hard to pick which one is the best though. J: What is your favourite costume that you’ve worn? 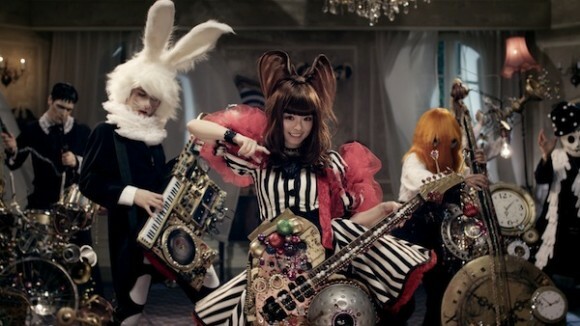 KPP: I love the Fashion Monster costume. I tend to wear quite colourful and ‘full of pop’ costumes but with Fashion Monster I wanted to challenge something rock and cool so I feel very attached to the costume. J: Did you think you would end up being this successful when you started on You Tube? KPP: I haven’t expected anything like this when I first uploaded the “PON PON PON” video on you tube. So I was honestly surprised to see the attention from overseas. I feel very fortunate that people find out about me on the Internet and they come see me on stage when I am touring their local cities for the first time. J: Which artist would you like to collaborate with? KPP: I cannot imagine to collaborate with anyone yet. J: You have many fans that don’t speak Japanese but love your music, why do you think this is so? 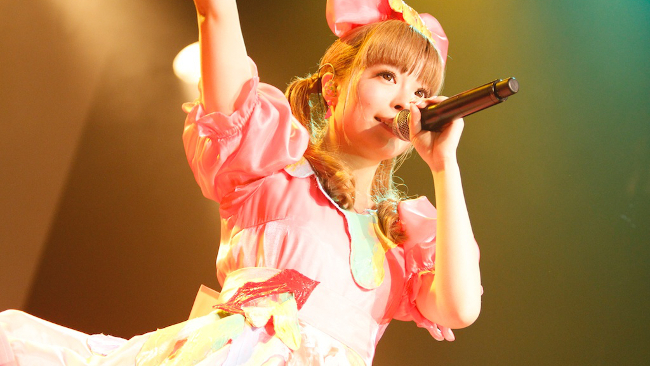 KPP: I sing mostly in Japanese but the lyrics really don’t have a clear meaning. You can just enjoy the way it sounds. I think that’s why people enjoy my music even if they don’t speak Japanese or they are too young to understand the language. J: How do you come up with the ideas for your clothes and music videos? KPP: I get a lot of inspiration when I am going through the Internet. I pick up some pictures or videos I liked and I just talk with my stylist. Often our discussion starts with me drawing my images. J: What else would you like to achieve through your music? KPP: I want to achieve a lot of things through my music and fashion. Other than that I am not really interested. I just don’t want to be a jack-of-all-trades. J: Outside of music, what’s next for you with your fashion projects? KPP: I always want to design a costume like no one has ever seen. It is boring to keep doing the same things so I want to keep challenging new things. Kyary, thank you so much for your time. We at Japandaman and all our readers appreciate it and wish you all the best with your world tour.